Transport your favorite brews while keeping them crisp, cold and refreshing in the Stanley Classic 2 qt. Vacuum Steel Growler. The rugged handle allows for easy carrying and the vacuum insulated body and foam insulated lid keep beer cold for 24 hours. 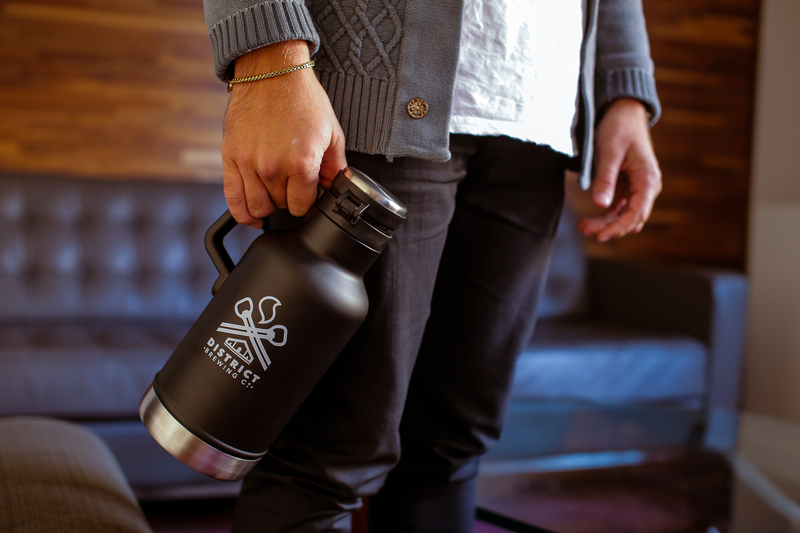 Whether youre tailgating the big game or providing the beer on your camping trip, this growler is the container you need. It just looks cool. All your friends will be jealous. Bonus--you can rep your favorite local craft brewery while you're at it!